Two people were killed and three left injured in a multiple vehicle crash near Six Flags in Maryland. The accident happened on the afternoon of November 5, 2012. On Monday afternoon, a multiple vehicle accident occurred in Prince George County near Six Flags amusement park. The accident involved four cars on Central Avenue. The injuries included an adult male, who had serious, yet non-life threatening injuries and two others were left with minor injuries. Two others were pronounced dead at the scene. Have you lost a loved one in a multiple vehicle accident? Losing a loved one in a multiple vehicle accident because of another driver’s negligence, can be shocking, overwhelming and heartbreaking all at the same time. It is hard enough to cope with a death but when the medical expenses and funeral costs start pouring in, things become even more stressful. By hiring a Washington D.C. accident attorney, you can build a case to get compensation for the unforeseen expenses from the accident. 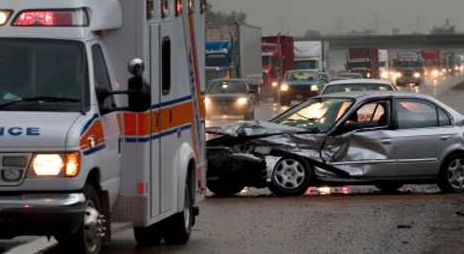 An accident attorney will build your case using relevant information, evidence and witnesses. They will be sure that compensation is paid to you and your family. Previous Have You Suffered Head Trauma in an Accident?